It has already been years since the city government imposed a city ordinance on no smoking on public places. I am glad with this ordinance for before while riding a jeepney when a co-passenger smokes cigarette you would also inhale all the smoke it emits, lucky enough if it is an e cigaret. 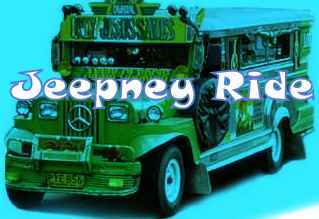 With the non-smoking city ordinance, your jeepney ride in the city is free from cigarette smoke. This is a jeepney ref magnet. I was surprised to see it at our refrigerator. I do not know where did my mother bought it. I just notice it lately so I thought of sharing it with you. 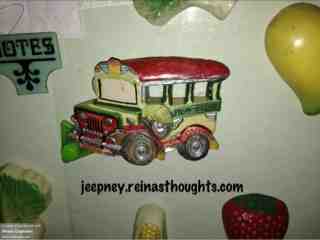 It only shows that jeepney has a great impact on the lives of Filipinos for even in ref magnets there is an available design for jeepney.